Sometimes unions are cited as being the reason for rising ticket prices on Broadway. Although Broadway union contracts are the most generous in the business, it’s not accurate to say that they alone are responsible for the price of tickets to shows on The Great White Way. 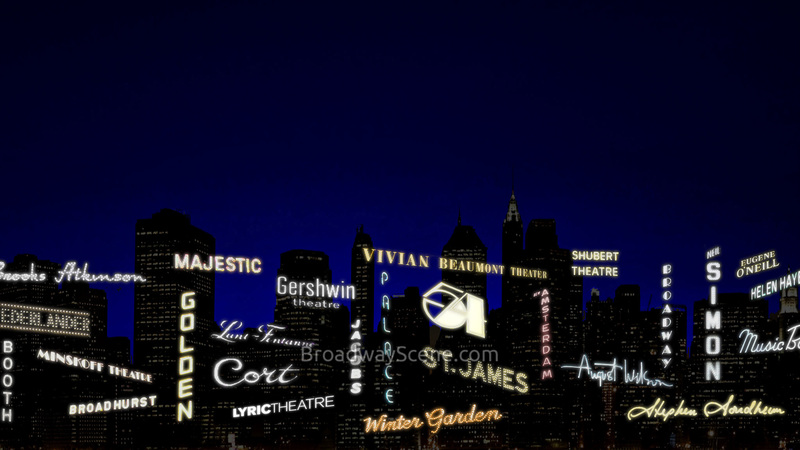 There are numerous other factors that come into play when one considers the expense of attending a Broadway show, including high real estate costs, the use of expensive technology and special effects, and the public’s love of spectacle, which requires large numbers of actors and technicians, as well as big production budgets. However, it would be wrong to say that unions have not had an economic effect on the theatre. They had to due to the fact that unionization meant that producers had to start paying actors and others for rehearsal and tech time and not just performances, guarantee two weeks notice, and support employee pension and welfare benefits. Here are the five theatrical unions that changed the way in which business is done on Broadway and in the American professional theatre. One of the ways in which those in any profession define themselves as a group is by how they refer to their professional organizations. Such references which utilize acronyms or abbreviated names will garner confused looks from the uninitiated or uninformed, while they elicit knowing nods or grimaces from those who are part of the profession. Here’s a quick course in some of the more common organizations, including unions, which are associated with the professional theatre in the U.S. I.A.T.S.E., which stands for is the International Alliance of Theatrical Stage Employees, was the first Broadway union. Its complete name is the International Alliance of Theatrical Stage Employees, Moving Picture Technicians, Artists and Allied Crafts of the United States, Its Territories and Canada. Although the union was officially founded in 1893, Broadway stage employees who had organized were involved in job actions as early as 1886. Today I.A.T.S.E. has about 122,000 members. United Scenic Artists, which is often referred to as U.S.A, is the labor union for designers, artists, and craftspeople in the entertainment and decorative arts industries. Formally known by the full name of United Scenic Artists, Local USA 829, the union was, for a short time, associated with I.A.T.S.E. and was then part of International Brotherhood of Painters and Allied Trades. In 1999, it became re-affiliated with I.A.T.S.E. 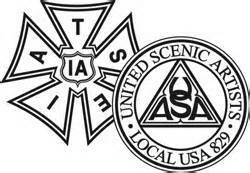 Founded in 1897 as the United Scenic Artists Association, the union has strict standards for admission, which is granted after passing specified tests. There are about 3,800 members. 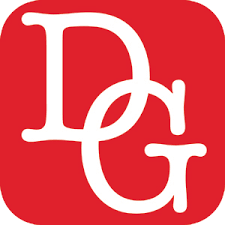 The Dramatists’ Guild of America, which is known as the Guild, the D.G.A., and the Dramatists’ Guild, is, as the name suggests, more of a guild and less of a union. Originally the organization, which was founded in 1912, was part of the Authors’ League of America. They became their own entity in 1921. The Guild has standardized contracts for Broadway, Off-Broadway and L.O.R.T. (League of Resident Theatre) productions. They have various tiers of membership, whoch include Member, Associate, and Student. The D.G.A. includes playwrights, librettists, composers, and lyricists. 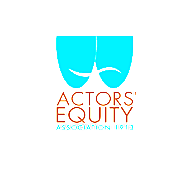 Actors’ Equity Association, which is commonly referred to as either Equity or A.E.A., was founded in 1913. Its first president was the widely respected comic actor Francis Wilson. Equity proved its might in 1919 when members went on strike and closed down Broadway and Chicago theatres from August 7, 1919 to September 6, 1919. Conditions for actors at this time were deplorable, as producers who closed shows on opening night walked away without paying their performers anything for rehearsal, actors were responsible for paying for their own travel and costumes, and a performer could be fired without reason or notice. As the strike continued, it won the support or stagehands and musicians. The strike ended with theatre managers giving in to all of the union’s demands. A.E.A. is the union for stage actors and, also, to stage managers. There are about 45,000 union members in the U.S. There are over 30 different Equity contracts, which cover Broadway, Off-Broadway, national touring companies, and many summer and regional theatres, as well as guest artists at universities and other theatres. 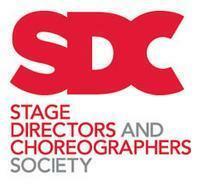 The Stage Directors and Choreographers Society, which is referred to as S.D.C, and which until fairly recently was known as the Society of Stage Directors and Choreographers or S.S.D. & C., is the union for professional stage directors and choreographers. This union was a late bloomer in that it was not established until 1959. There are approximately 2,000 members.